Identifying prospects and customers in the digital world is tricky, especially when those business relationships occur on multiple devices and touch points. Starting anonymously, like with real life casual acquaintances, users might need to develop a certain level of trust before they reveal themselves by signing up, or registering to become a customer. An anonymous user might browse the entire shoe department online, adding items to the cart – perhaps even then abandoning it a few times – before finally signing in or registering to complete the purchase and becoming a known customer. Or, a gamer can download the game and remain anonymous (or just appear as PapaSmurf or Queenbee for the time being) and continue playing free before becoming a real money user. Developing a deep relationship with anyone takes work, whether it’s your friend, spouse, or a customer. You have to listen and engage with them over a period of time and express it with actions. Utilizing the data you’ve collected from your anonymous users will give you an advantage, in the next level in the relationship when they transition to become identified users. A customer reveals his identity from the moment he signs up, so it’s crucial to maintain his interest with a personalized experience. We want to identify them as soon as possible, and get fast insights to drive our engagement and personalization engines. When the anonymous user’s identity is revealed, it comes with a realization that he’s been visiting the site for days, weeks, or even months already, anonymously. By merging the anonymous user (temporary ID) with the identity that is revealed once he registers, it becomes possible to analyze the user behavior across the complete journey, even if it started anonymously. A behavioral funnel analysis of an digital shopping journey would typically look like that: user starts anonymously, searching for products and viewing the product pages. In many cases the items are even added to the cart anonymously. The registration or identification in the case of a returning user happens only before completing the purchase. If the funnel analysis would start at the point of registration, we would miss out all the times they abandoned the cart before identification. With the ability to unify the user’s multiple identities, we can look at the complete funnel and even act on that segment that abandoned, by targeting them with personalized promotions encouraging them to return to their cart. Relying on that identity unification, we can analyze the purchase funnel from Add to Cart to Purchase, comparing segments of users by the different online campaigns they originated from. In this case below it was the Adwords sports campaign that yielded highest conversion. – Did the users who purchased also view or add other similar items to their cart without purchasing? – Do the converted users from each campaign share commonalities such as a similar geographic region or demographic? Did they convert during a specific time of the day, week, or season? – Is “Barbie in the Jungle” the most searched term for organic searches or is there a more preferred search term? Do the users from one search term have a higher ARPU (Average Rate Per User) than another? In one gaming company, such behavioral funnel analysis of the unified user identities, is used to compare behavior of game players who sign up right after the game installation, with that of the players who play anonymously and signup just before making a first deposit. In the funnels below, analyzing the same segment of users who download the game app on one specific day, we can understand that users who install and right away signup, are more engaged, and convert at higher rate, and faster. The action that follows that insight might be to encourage sign up right after installation. The ability to unify the multiple identities becomes even more powerful with the behavioral path analysis. Looking at the complete user path, with the ability to unify the anonymous state of the user with his identified actions, we can really shed light on the user experience across the complete journey. In this case, of an eCommerce site, we see that many who originate from a social share, visited the help section, before and after registering. This behavior clearly points to a UI or UX related issue with the registration page that require further analysis. Another path analysis example from the world of gaming reveals an interesting insight. Here we see a narrow spike in the sunburst diagram that represents a small segment of users who exhibit non standard behavior; they stay anonymous and even collect a bonus as such, and end up playing through the game without making a deposit. This insight might suggest that you need to encourage login earlier in the game to get your users to commit and that will finally lead to conversion. This gaming company might want to dive more deeply to see what questions in the app help page users are reading, or if they are searching for a particular item. Perhaps something isn’t clear about the app’s game or the pricing, and once clarified, users will be able to complete fewer steps to purchase. But we’d only know about this commonality by unifying and analyzing the full behavioral path of users from when they are both anonymous and known. 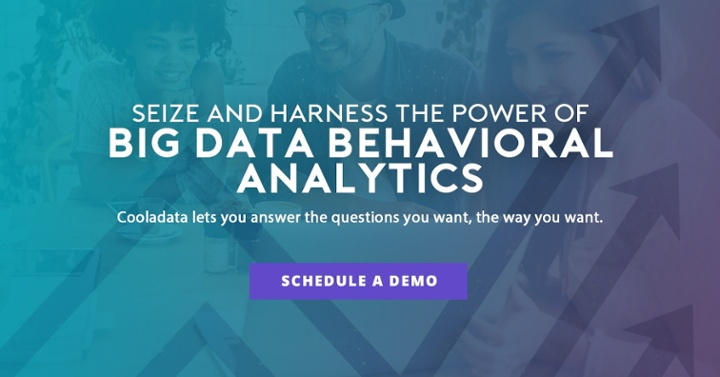 Such digital intelligence and behavioral analysis become extremely valuable for digital products, in gaming, Media, eCommerce and other insights driven industries. 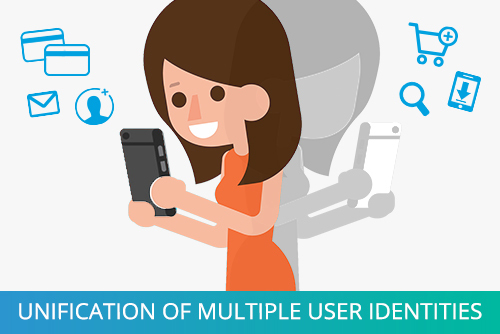 Using behavioral analysis with the power of unified user identities, we deepen our understanding of our users, gain their trust, and swiftly move our relationship with them from anonymous users to fully-fledged customers.